What could possibly make shelled fresh peas more delicious? Diced pancetta. 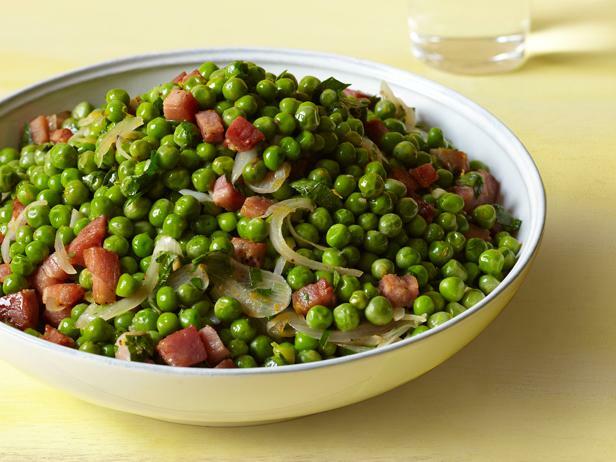 Dovetailing Tip: Cook an additional 4 ounces of Pancetta to use in day 5 in Creamy Spring Peas with Pancetta. Cook the pancetta in a large skillet over medium-low heat until crispy, about 5 minutes. Add the shallot and garlic, cook 1 minute and then add the orange juice. Increase the heat to medium, add the peas and cook until tender, about 3 minutes. Remove the pan from the heat and fold in the orange zest, parsley and butter. Taste for seasoning and add salt if necessary, though you shouldn't need much, if any, because the pancetta adds a natural saltiness to the dish.